This WEB site was initiated to both preserve and celebrate the proud leadership of Southern heroes. First and foremost among them, General Robert E. Lee, henceforth referred to simply as "The General". 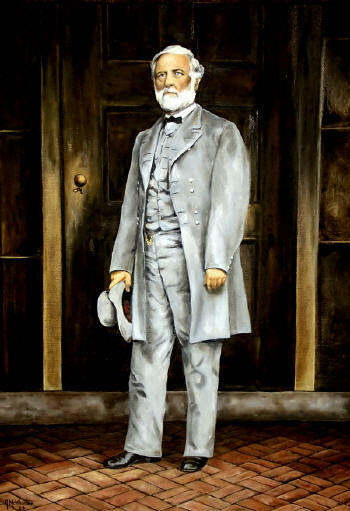 Our premise is that Robert E. Lee demonstrated courage, integrity, bravery and honesty that should serve as an enduring example to corporate, government, and community leaders today. These ideals that served The General so well throughout his life are just as important today. To Celebrate and Remember the character and integrity of The General, we happy to display this Portrait of the man whose courage and honor should inspire all. Noted Texas artist Rita McWhorter was commissioned to create this stunning portrait. The painting was inspired by an 1865 photograph by Mathew Brady.